On today’s show we take on sipping from soupspoons, a friend’s generosity, being asked to host a baby shower last minute and receiving holiday cards for a deceased parent. 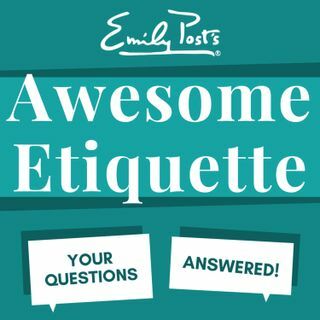 Plus your most excellent feedback, etiquette salute and postscript segment on holiday invitation etiquette. Sustaining members, your extra question of the week tackles talking wedding plans without fishing for an invitation.